OK. I’ll admit I’m fulfilling a life long ambition to blog about baseball and pay unabashed homage to my team but when the ballplayers show up for Spring Training I find it refreshing. It’s a clean slate. A fresh start. You’re in first place. 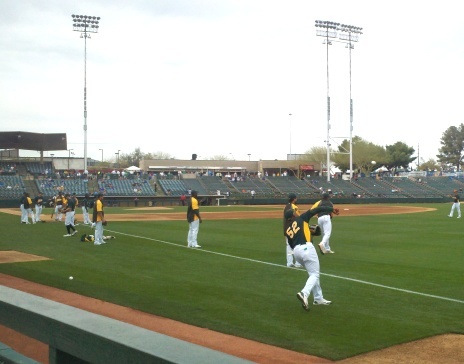 For the fifteenth year in a row, I was in Phoenix to watch my team (the Oakland Athletics) “freshen up” (and heaven knows, they need it at times). Usually, come spring, the weather in Phoenix is warm and pleasant but, as you can see from the photo, sometimes weather is unpredictable. This year started out with a nice 87 degree day. 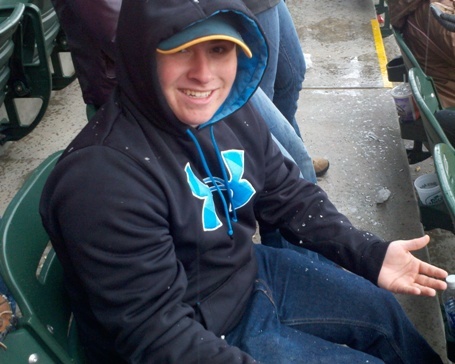 The next day it was 47 degrees and we had a hailstorm. Unpredictable indeed! Now imagine if you were shipping produce or other perishable foods. You can’t count on a consistent temperature. That’s why it’s important to monitor the temperature of your product every step of the way. Fortunately, we can help you do that with our XC3 Technology readers and temperature monitoring tags. You’ll have actionable data to know if your produce is at 87 or 47 and be able make proactive decisions to help ensure its delivered fresh to maximize value and your produce finishes in first place! Hope your team does well too!